Made with durable, super lightweight, and breathable synthetic fabric, Eagle Rock Gear game bags protect your valuable harvest from dirt and insects while helping the meat cool and dry faster than the traditional cotton game bag. Our bags have a drawstring closure and lock loops which allow you to more securely close the bag opening. In addition, the lock loops come in handy when hanging your bags to dry. We've designed our bags to be 100% machine washable and reusable, just add a little bit of bleach to get them looking brand new again. 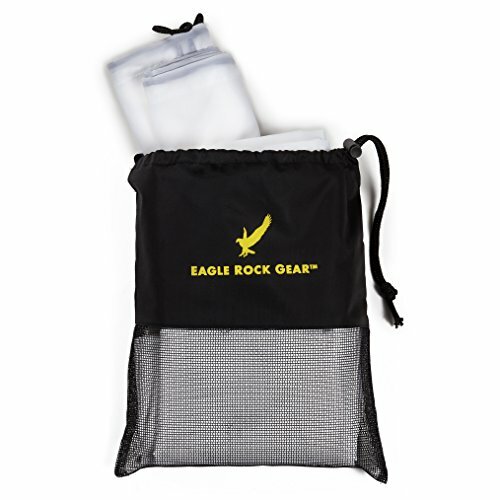 The 4-Pack also includes and Eagle Rock Gear mesh carry bag. If you have any questions about this product by Eagle Rock Gear, contact us by completing and submitting the form below. If you are looking for a specif part number, please include it with your message.